JAVIER TRUEBA/MADRID SCIENTIFIC FILMSSeventeen skulls excavated from Spain’s Sima de los Huesos and thought to be around 430,000 years old are the oldest specimens with Neanderthal features uncovered to date. Researchers from Complutense University of Madrid reported on their analysis of these skulls in Science this week (June 19). The team found evidence suggesting that these ancient individuals were not fully Neanderthal, yet not quite Homo heidelbergensis, either. 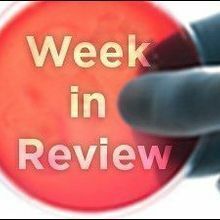 FLICKR, JULIEN HARNEISThere are two antiviral drugs being tested to treat polio, and researchers battling the spread of the disease where vaccination is incomplete are banking on their success. One of the drugs, pocapavir, has shown promise in early clinical trials. But scientists face the lingering challenge of containing poliovirus excretion by immunocompromised persons who have been vaccinated. “There can be no true eradication of polio with the continued presence of prolonged poliovirus excreters,” Mark McKinlay, head of the Polio Antivirals Initiative within The Task Force for Global Health, told The Scientist in an e-mail. FLICKR, NATIONAL MUSEUM OF HEALTH AND MEDICINEThe Scientist continued its deep dive into the human microbiomes outside of the gastrointestinal tract this week, with a look at the microbial communities that inhabit the mouth and skin. Economists explore the wheelings and dealings of universities and publishers during largely secret negotiations regarding access to scientific journals. Study examines tissue-specific protein interactions linked to hereditary diseases. The European Medicines Agency is preparing for a new policy that will release rarely-seen clinical trial reports for independent scrutiny.